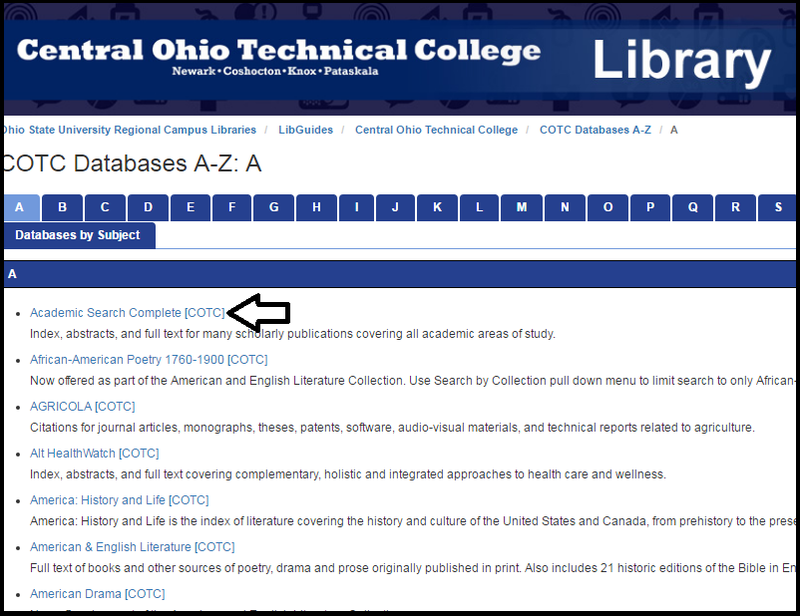 To access the article databases from off-campus, start on the COTC library website. Select the link that reads: Databases. This will bring you the list of COTC databases. Select the name of the database you would like to use. Once you select the name of the database, you will be brought to the sign-in screen. You can sign-in with your name-# and password, just as you would when signing into myCOTC. If you have already signed into myCOTC or your Moodle, you will not need to sign in again; you will be brought directly to the database.